New to Deep Learning? Want to lean how to write Deep Learning programs from the beginning, with simple step-by-step examples? 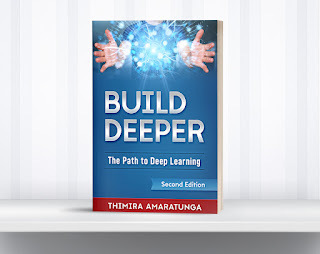 Build Deeper: The Path to Deep Learning is a complete and practical guide that can help you take the first few steps in deep learning. It will guide you step-by-step, from understanding the basic concepts, to building your first practical application. What Deep Learning is, and where it fits with Artificial Intelligence and Machine Learning. How Deep Learning came to be, its predecessors, and the path it took to evolve into what it is today. The important milestones it has passed through the years, and the impact they had on the field. What tools are available for us to learn and build deep learning applications, and how to set them up: Python, TensorFlow, Theano, Keras, and more, on any OS of your choosing: Windows, Linux, or Mac OS. Building our first simple deep learning model. The internal workings of a deep learning model. Using more advanced topics such as Data Augmentation, Transfer Learning, Bottleneck Features, and Fine Tuning to build a practical deep learning application. Getting started with Computer Vision. All you need now is a little enthusiasm … who knows where it will take you! Available in Amazon, in Paperback and Kindle. Here is a collection of resources to get you started with Deep Learning, Machine Learning, Computer Vision, Image Processing, Python, and OpenCV. PyImageSearch - PyImageSearch by Adrian Rosebrock is an excellent place to learn OpenCV and Image Processing. Machine Learning Mastery - Machine Learning Mastery by Jason Brownlee has an excellent guide to get you started in Machine Learning concepts. Adventures in Machine Learning - Adventures in Machine Learning by Andy Thomas has excellent tutorials on TensorFlow and CNNs, with very detailed explanations. Adit Deshpande'd Blog - Has comprehensive articles on the internals of Deep Learning. Cheat Sheets for AI - A great collection of 'Cheat Sheets' for AI, Neural Networks, Machine Learning, Deep Learning & Big Data. Keras Resources - A set of resources, tutorials, code samples from the Jeras GitHub repository. Artistic Style Transfer - Convolutional neural networks for artistic style transfer. Convolutional Neural Networks - An Intuitive Explanation of Convolutional Neural Networks. Understanding LSTM Networks - Recurrent Neural Networks and Long Short Term Memory networks. AlexNet - "ImageNet Classification with Deep Convolutional Neural Networks"
ZF Net - "Visualizing and Understanding Convolutional Networks"
VGG Net - "Very Deep Convolutional Networks for Large-scale Image Recognition"
GoogLeNet - "Going Deeper with Convolutions"
- 2015 - Christian Szegedy, Wei Liu, Yangqing Jia, Pierre Sermanet, Scott Reed, Dragomir Anguelov, Dumitru Erhan, Vincent Vanhoucke, Andrew Rabinovich, Google Inc., University of North Carolina, Chapel Hill, University of Michigan, Ann Arbor, Magic Leap Inc.
Microsoft ResNet - "Deep Residual Learning for Image Recognition"
A collection of books which I find useful on Deep Learning, Computer vision, and Machine Learning topics in general. 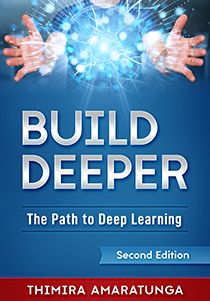 This book, I would say, should be a must-have for any Deep Learning enthusiast. 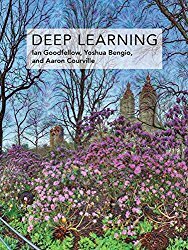 It's written by three experts in the Deep Learning field, and gives a clear flow of knowledge from the mathematical background to the practical aspects of Deep Learning. I would highly recommend this. 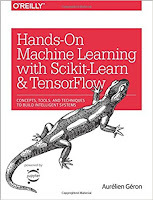 As the name suggests, this is the "Hands-on" book for Scikit-Learn and TensorFlow. It's filled with practical scenarios with step-by-step code. I highly recommend this book. 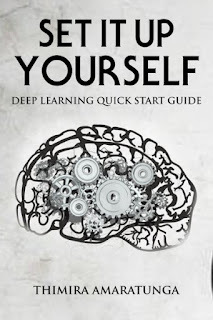 The 'go to' book for Python Machine Learning. 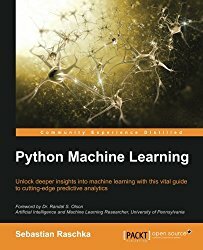 If you are unsure where to start Machine Learning in Python, start with this book. 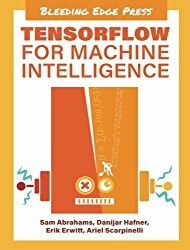 New to TensorFlow? Try this book to get started. Compared to OpenCV 2, resources for OpenCV 3 used to be bit hard to come by. This book changes it. 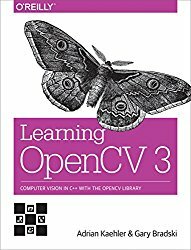 Although it focuses on C++, I would recommend Python programmers to also read it, as it comprehensively covers features of OpenCV 3. 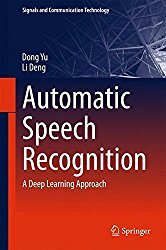 Dive into Automatic Speech Recognition using Deep Neural Networks. This is one of the very few book covering this field. Random Forests can be extremely powerful for certain machine learning scenarios. 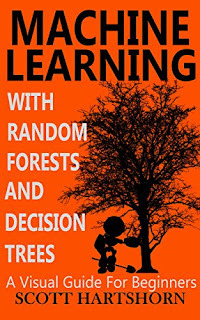 This is an excellent book to learn the concepts behind Decision Trees and Random Forests.